Leisure features for all kinds of media have been our business for over 25 years. 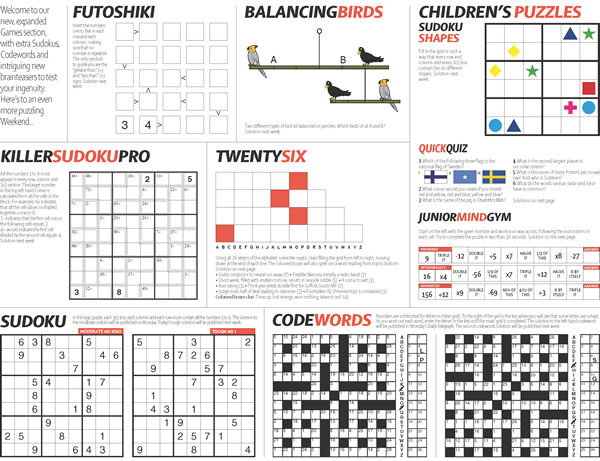 We create and produce puzzles and games that effortlessly drop into your kind of publication. Our work can be seen any day of the week in national newspapers, magazines and websites. What we offer to publishers is not just the very best creative content, but something beyond value: a safe pair of hands. We know that you want not only the best quality, but also a service that you can depend on. 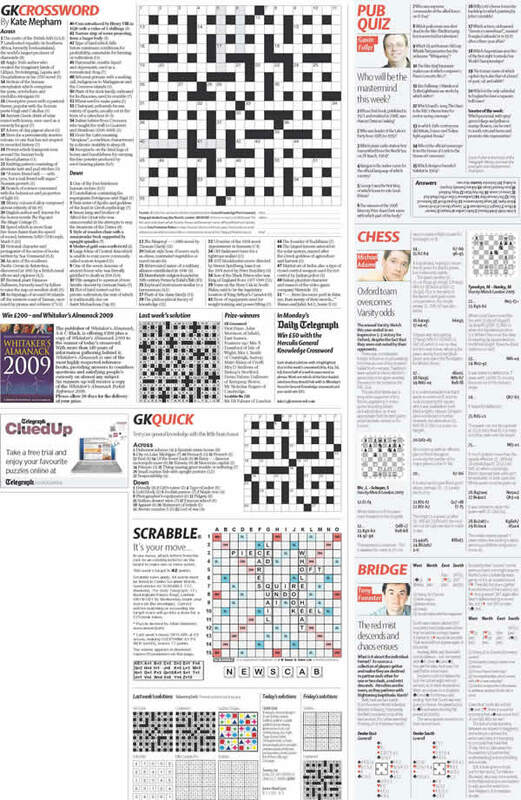 That's why our national daily newspaper customers know that they can rely on Crosswords Ltd to produce their regular features to their deadlines. Our service is specialised in the area of puzzles and games. Once your feature is written or compiled, we ensure that it is designed and produced to slot seamlessly into your publication. Whatever your production requirements we have the pre-press skills to match them. No project is too large or too small for us. If your requirement is a daily crossword, we can do it. A full page of games and puzzles? You know that we are up to the job. Your features will be produced to the highest levels of Fleet Street professionalism when you choose to join Crossword Ltd’s elite client list. All of our puzzles are available for inclusion on your website. Presented in either ASP or Flash you can very quickly have a puzzle up and running.